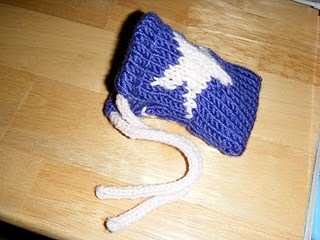 Just a quick post to show you the little camera case I made a few years back. 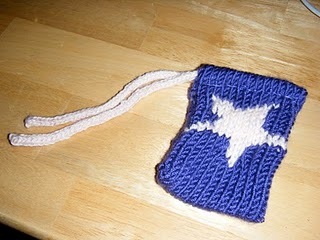 I sized the case to fit my little point-and-shoot and I followed a chart to make the star pattern on both sides. Tell me: How do you store your camera? Also, I’m going to see Cynthia Leive, Editor-in-Chief of Glamour, this afternoon at a Master’s Tea! I don’t often hear about a lot of fashion-related events happening in my area, so I’m really excited for this one!